When the naplannic cane toads were released in Australian schools in 2008, there was atomic-sized gasps from those who pupilled children at school, working in a constantly evaluating, Siamese-twin sort of relationship…… dedicated to learning. I spoke with dozens of those I knew were high-quality teachers who were dumbfounded that this could occur. in Australian schools. Many, like me, still find it hard to believe that this sort of thing actually happened. Our dreams of having schools that were so learning attractive to kids that they’d just learn, learn, learn because it was good fun and challenging and wonderful, were shattered. We could not contemplate the thought that Australia would ever foster a system that would deliberately teach child to dislike learning.. It happened. 2008. The destiny of our future citizens is now very worrying, even frightening. It’s naplanic. What are we trying to do to our kids in their classrooms? Have you, as Australian Professor Michael Dunkin has done: ,examined the kind of classroom agitation that occurs on wet and windy days at school, the ‘shows’ that the pupils can put on for visitors, the distracting modes of behaviour at the end of each week, of each year. School pupils can be such lively little buggers for no apparent reason. Why do schools teach maths in the morning; leave art and physical education to the late afternoon; cancel sport, art and music when test heat is high? Are some subjects so unimportant that they can be dropped when NAPLAN–prep starts? What sort of schooling is that? Is there some sort of weight in subjects? Can our domineering, testucating fanatics describe any of the million social-teaching-learning exchanges that occur each and every day in each and every classroom that are more important than their stupid tests? Let’s THINK about what he is saying. Will such learning exchanges be happening on May 10,11,12? Dunkin, Gage, Biddle wrote definitive works on classroom learning that testucrats prefer to ignore. They talk about classroom learning. Why doesn’t Australia try to document these truths….or just talk about them? What sort of teaching strategies are used from the range of those we know about…..of the hundreds and hundreds between the maieutic, self-generating techniques to the didactic [sermonising], through the wealth of child-centred and adult oriented forms and the plethora of group techniques? Why don’t we let teachers that use all these sorts of teaching/learning exchanges, run the show? Let’s give back schooling to them and help the kids learn things? Why not re-design a schooling system that starts with a discussion on these sorts of things…and NOT from the presumptions of those whose only classroom experience has been limited; and who only recall the crash-bang-wallop, gotta-pass-the-exams techniques of their own very limited school experience. That only leads to klienism, a dead-set failure. Which is more important : spending the day practising tests or spending the day learning? Why do politicians talk about democratic principles and don’t stand up for kids when it matters? Why don’t basic human rights apply to kids at school during NAPLAN season? How much does NAPLAN cost ? Who benefits? The latest educational bandwagon is that all children should be taught how to code computers, although exactly what this is supposed to achieve isn’t clearly spelled out. Does our ‘edtech’ obsession get in the way of education? Latest article by Alfie Kohn. Better teachers? Better at what, exactly? A lament from an Australian teacher. Bruce has written another article about this current development. This is an oldie but well worth watching again. Modern Learning Environment / Innovative Teaching Practice – or just good learner centred teaching? What do we steal from our students? “Dr John Edwards based his presentation, the final one for the conference, on a question his wife had asked him when he returned after teaching his graduate students. If ever you see a large, ugly cane toad in your garden, call him “Naplan”. He’s a darling of all the political hoi-poloi and educratic know-it-alls. Both the toad and his namesake share a similar history. They were both mistakenly introduced to do a special job. Those who brought them both to Australia thought that they knew better than anybody else. Big mistake. A political decision to introduce both kinds of vermin was too hurried; immediate; on sight; no questions asked. They were desperate. They thought that they were on a winner because some smart-alecs in Hawaii and New York told them so. No checking of consequences. Indifferent to opinions of real experts in Australia or USA or the UK or Finland or anywhere in the world, our power-drunk education know-it-all then had to use underhand ‘client capture’ techniques to have her way and to cover-up a monstrous brain-fart. No research. No checking how things are going or likely to go. No public talk. No need. A dramatic blunder of gargantuan proportions! The school testing debacle continues….but it can be stopped. Parents just have to say ‘NO!’ High stakes testing wasn’t even needed in the first place. Her bowel movements must have been irregular at the cocktail party where her decision to introduce kleinism to Australia was made; on the spot, before Rupert and Joel even said ‘Goodnight’. A dry martini did it. Australia was committed to a Klein version of schooling. Millions of dollars later and ever-lasting gross destruction of our intellectual landscape by NAPLAN testing and our physical landscape by almost-as-ugly toads, the waste continues. 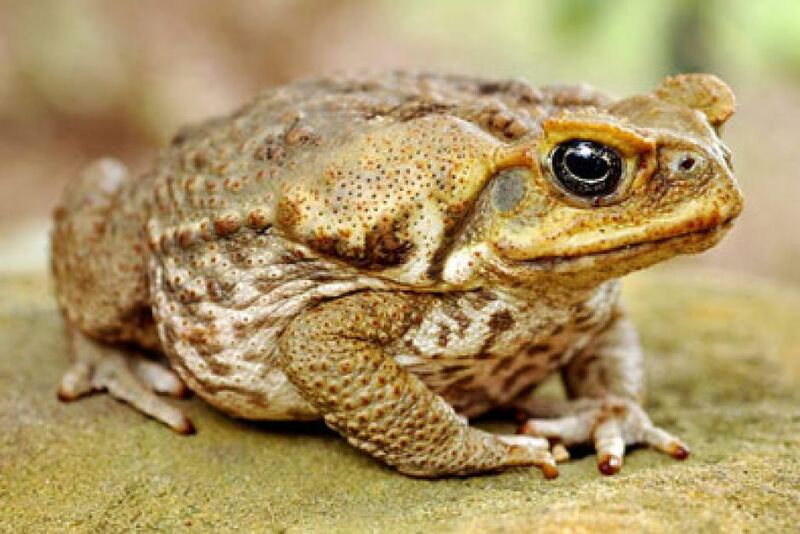 There’s a lesson to be learned, by our brown-nosed educrats and our indifferent political candidates, from our now millions-strong army of cane toads, each called ‘Naplan’, don’t you think? We must OPT OUT and …. That’ll be new for our politico-educrats, won’t it? BUT…. Australia’s order of business for educational improvement needs to be…..
1. OPT OUT OF TESTING. 2. RETURN TEACHING TO TEACHERS. 5. REINVENT A SYSTEM OF SCHOOL LEARNING. ONE THAT CARES ABOUT KIDS AND WHAT NAPLAN DOES TO THEM AND TO OUR COUNTRY. Here’s an interesting list. You can check to see how interested in schooling and in NAPLAN [The greatest threat to Australia’s welfare, since the Japanese]your present representative is. It says a lot. Let’s now see how concerned about school children’s welfare they have been; and how likely they are to be interested between now and the election. What did your federal representative do? Which ones care about the damage to kids and have something t say about NAPLAN? It’s worth checking to see who cares about kids at school. Which party seems to dominate in the ‘care for kids’ business in the classroom…..all kids….all classrooms….no matter where they go to school? I am one of your possible constituents and I am also one of a large number of educators who are opposed to the use of NAPLAN testing in Australian schools. I write, daily at present, for what is called The Treehorn Express, in an effort to have the testing programs cancelled. You will have seen it if you take an interest in primary schooling. I plan to write an article about the attitudes of political candidates towards NAPLAN issues. [a] The nasty way that children are treated in the administration of the test. It is a form of emotional child abuse. [c] The negative impact that the tests have on the attitudes of children towards certain subjects [notably Maths and Science] and towards schooling itself. [d] The continuing impact of NAPLAN by its self-generating lowering of standards of Australia’s economic culture. [e] The denial of choice for parents. I have searched for comments that you and/or your party might have made about NAPLAN and its effects. While your party has probably had something to say about money for education, Gonski. privatisation, proposed changes and general standards, I have yet to notice any specific comments that you or your party have made about the greatest threat to our country’s economic progress ever perpetrated in this country. You may have different ideas and opinions from those listed above, of course. Would you be prepared to express them or even state plainly that you were in favour of NAPLAN testing… or opposed to it ….or indifferent to the controversy. Thank you in anticipation of an early reply. PARENTS’ RALLY – Southbank, BRISBANE – 1 JUNE – 11.30 a.m.
Show ‘THEM’ that you are serious about your child’s schooling. WHY MAKE CHILDREN CRY ? That’s what Standardised Blanket Testing does – whether it be NCLB [USA], Standards Testing [NZ] or NAPLAN [Australia]. It’s an essential part of its modus operandi. It is wrecking so many little lives. Brave teachers who will stick-up for kids are needed more than ever in our history. Never before have children been so systematically abused and tormented. Teachers and parents need to form a coalition of determined anti-naplaners. Even though it may be too late to dump NAPLAN testing in Australia this year, let’s opt out of the tests on May 10,11,12; and talk about schooling on June 1 at Southbank, Brisbane. Is Kleinism [aka ‘Fear Driven Schooling] the kind of system that Australia needs? It isn’t working very well. What do you think ? Finland wants to abandon the teaching of subjects! Aussie kids should be sweating it out now. “Test Prep is about studying the arcane way that the tests structure the questions….far from straight forward….deliberately tricky…don’t teach anything – useless…..handling the computer component…. hoping that Australian schools will concentrate on mass devotion to a love for learning soon. What are trying to do to our kids? Can I withdraw my child from the tests? I have a ‘philosophical objection’ (See “Withdrawals” below]. Yes. Indeed. I hate the rotten things; Amen. Below is an extract from ACARA’s attack on parental rights…..the sort of rules that Gradgrind would insist upon….trying to remove as many parental rights as possible. They are removed without remorse or feeling or compassion for child welfare. We need to consider what these testucratic bullies are doing to us and our children. NAPLAN represents political bullying of the worst totalitarian kind. No recognition of parents’ rights. Parents not even asked if they approve of high stakes testing for their children. The ‘bull’ is highlighted in red in the ACARA documentation below. Please pause and think when you come to something in red. Parents can and should ignore any references to testucating expectations and the demand that a formal application must be received in time (Para 1). That is absolute rubbish. Australia is a democracy and such demands [reminiscent of totalitarian states] are out of place. The Rule of Law applies to school children even though they are at school. ACARA is ordering children to submit to the torture of fear and emotional upset caused by standardised blanket testing. We all know that such intrusions into the curriculum cause gross emotional upset and a dislike for certain subjects [e.g. Maths & Science] and a general dislike for schooling itself. You will note that ACARA says that NAPLAN tests are “a part of school routine”. RUBBISH. SHEER UNADULTERATED RUBBISH. Until NAPLAN took over the curriculum and school time tables, all schools had their own forms of Learning, Evaluation and Reporting programs. NAPLAN is an insulting one-off intrusive attack on all respectable, professional, home-grown school evaluation programs. It just took over. In 2008, it instituted a monstrous disruption to teaching and learning by political fiat, that is now seriously affecting school operations and our children’s educational welfare….and the country’s future. All in all, the amount of valuable learning time that is consumed by NAPLAN nonsense for months each year is frightening. It’s far too much…. and there have been no positive results……on the contrary……only diminishing test scores and a battered curriculum. “While participation by all students is expected, students may be withdrawn from the testing program by their parent/carer. This is a matter for consideration by individual parents/carers. Withdrawals are intended to address issues such as religious beliefs and philosophical objections to testing. A formal application in the manner specified for each state or territory must be received by the principal prior to the testing. Your principal can provide further information about the withdrawal process. For more information, see Student participation. Exemptions may be granted for students with a language background other than English or for students with a disability. In both cases, schools need to discuss the proposed exemption with the student’s parent/carer and gain their permission prior to the testing period. English language proficiency: Students with a language background other than English who arrived from overseas and have been attending school for less than a year before the test may be exempted. However, these students are not automatically exempt and should be given the opportunity to participate in testing. Principals can expect information from test administration authorities on the preferred method for collecting and recording this information. Students may be exempt from one test (e.g. reading) but still be able to participate in another test (e.g. numeracy). Students with disability: Adjustments are provided to students with disability to support access to the tests and encourage maximum participation. Students with significant intellectual disability and/or those with significant co-existing conditions which severely limit their capacity to participate in the tests may be exempted from sitting the national tests. This is determined after consultation has occurred between the principal and the relevant parent/carer, and if it is decided the student is not able to access the tests with adjustments. For more information on the types of adjustments available, see the section on Adjustments for students with disability. NAPLAN tests are a routine part of the school calendar. However students may be withdrawn from the testing program by their parent/carer if there are religious beliefs or philosophical objections to testing. This is a matter for consideration by individual parents/carers in consultation with their child’s school. A formal application in the manner specified by the relevant test administration authority (TAA) must be received by the principal prior to the testing. They did not sit the tests because they were not present at school when the test was administered. They were unable to sit the test as a result of an accident or mishap. Have a peep at the attachment from John Oliver.